The sleeper hit Kita Kita is proof that funny is the new pogi. 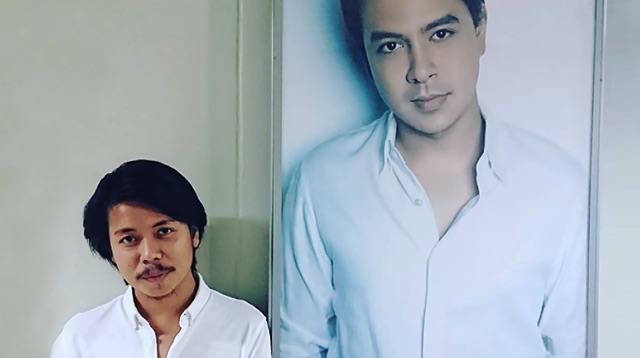 Who would've thought Empoy Marquez can be a leading man in a blockbuster flick? And as of press time, the Empoy-Alessandra de Rossi starrer has grossed over P200 million in the box office. TBH, nobody saw that coming. To prove our point, we give you the men who you have to meet first before you swipe left. Who knows, he could be Mr. Right! With a showbiz career spanning over a decade, comedian Empoy Marquez has never had top billing for a commercial film. It took a good role—that of a not-so-handsome guy courting a blind girl—to reinvent the comedian as an unconventional heartthrob. And what does he think about his new tag? Jerald Napoles first captured hearts as Tolits—a sando-wearing boatman who wins the girl—in the musical Rak of Aegis. Showing off his six-pack abs for laughs paid off. These days, he is known as the resident comic of GMA's Sunday PinaSaya. He often joked that he and co-host Alden Richards can be mistaken for twins, so much so that fans started calling him "Alden," too. And on Father's Day, he even greeted Alden's dad, claiming he's the "bunso!" As Ramon Bautista would say, "Ngayong panahon ng mga hokage, pakboi, at mga galawang breezy... 'Yung natitirang katulad naming totoo magmahal, fini-friendzone, tito-zone, at wini-WiFi-zone mo lang…"
The comedian-writer-host-producer-teacher has been dishing out witty love advice for the sawi and has published two books about it. He has been regularly posting selfies with funny tips on how to ba an #IdealGuy on his Instagram. Prancing around and wearing colorful Speedos, Mikey Bustos' latest YouTube video, a "Despacito" parody, has over 5.5 million views and counting. The comic's funny vid was even featured in CP24 Breakfast, a Canadian morning show. Based in Toronto, Mikey gained online fame by making humorous tutorial videos on Filipino customs and traditions. He's not only funny, but can serenade you as well. He's talented AF!